For some reason none of the shopping pages on our website are working anymore and instead I get what looks to be a 404 error, like the page isn't even there. Could you please look into this ASAP? 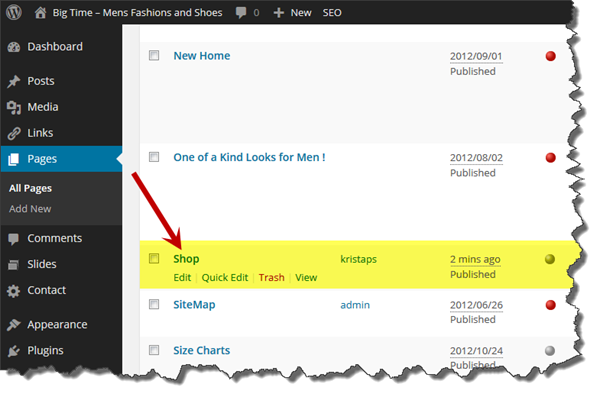 Modern Retail's WordPress E-Commerce plugin uses a special page in your website called Shop. This page is where the magic happens and displays all the shopping pages on your website. Therefore, you never want to delete and modify this page in any way because without it your website will not work. If for some reason this page gets removed or deleted, recreating it is very simple. 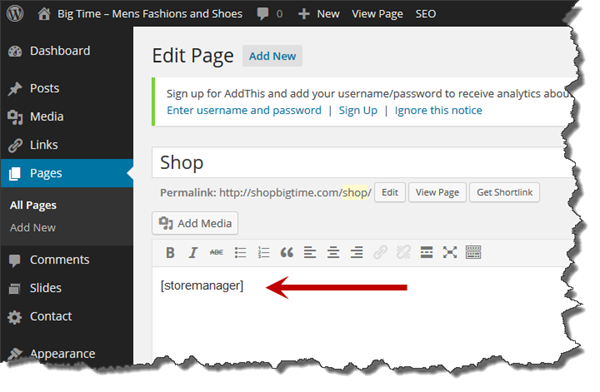 Simply create a new page called Shop and add a shortcode that says [storemanager]. That's it! That should be all you need to do to add shopping back to your website! Please be careful not to delete or modify this Shop page in the future. Thank you.